The Perfect Turkey Sandwich by gThankYou! There are a few recipes in my files that I’m extremely proud of. I make an awesome cranberry raspberry pie. My trays of holiday cookies are works of art. And my crème brulee? Killer. But it is my perfect turkey sandwich that consistently amazes my friends and dinner guests. I think it’s because sandwiches seem so pedestrian, so unassuming. How magical could they be? They are, after all, just condiments and protein slapped between two pieces of bread, right? Making a sandwich doesn’t even count as cooking, and it certainly doesn’t need instructions. But this turkey sandwich. . . it is superlative. It is stunning in its flavor combinations – a perfect blend of salty, sweet, creamy and crunchy and the best use of leftover Thanksgiving or Holiday turkey ever created. 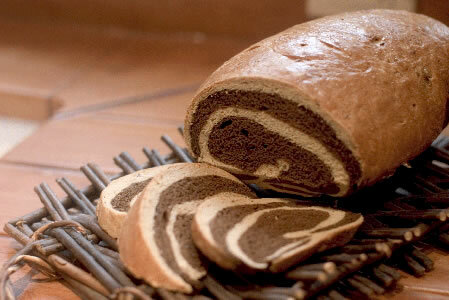 Start with marbled rye – it’s bread with attitude, with depth of flavor and an artistic flair. Toast it, or not. This is up to you. Either way, it is the greatest foundation for your mind-blowing turkey sandwich. On one piece of the bread, spread cranberry mustard. (You can buy various versions at grocery and specialty food stores.) 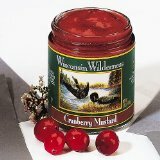 If prepared cran-mustard is not available for some reason, you can also mix leftover whole berry cranberry sauce with good quality Dijon mustard. The result should be sweet, tart, spicy and gorgeous – a beautiful burgundy color. Apply liberally. Layer thin sliced turkey breast on next. Make sure you don’t overload the sandwich here – the amount of turkey should not exceed the sum of the other filling ingredients. Balance, as in all things, is key. Next comes bacon. Oh yes. Three to four pieces of lovely, smoky, salty fried bacon. No you can’t use turkey bacon to substitute. No you can’t leave it off the sandwich because of the calorie count. 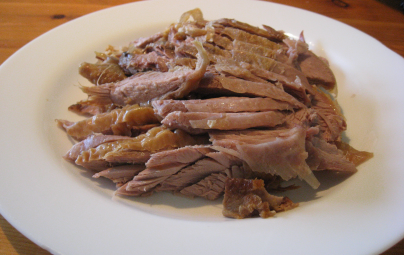 Commit to running an extra hour on the treadmill and enjoy these crispy slices of pork heaven. They are not optional. Lastly, the most temperamental ingredient — top the bacon with quarter-in thick slices of perfectly ripe avocado. 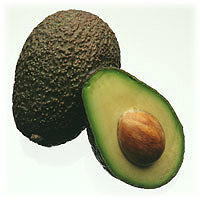 Now I know what you’re thinking: avocados are only perfectly ripe for approximately 60 seconds in their life cycle. They seem to morph from granite hard to brown mush in an afternoon, and unless you live in California, they are out of season for most of the year. Never mind all that. Pinch every avocado at your supermarket until you find one with no blemishes, and just the right amount of give to the touch. Then rush home and assemble your sandwich. There is no time to lose! At this point some people would add sprouts. I would not. Some would add a thin layer of mayo. But it’s not necessary if your avocados are appropriately luscious and creamy. Cut in half. Serve with sweet potato chips (again, perfect sweet, salty, crispy, crunchy counterpoint). Enjoy. And give thanks all over again that there’s lots more leftover turkey in the fridge.